All the 15 legitimate nationalities in the place we know as Uganda today should concentrate on getting this place out of the grip of the foreign occupying force. That is the most important thing at the moment. To the people in the place we know as Uganda today, understand that one of the intention of Mr Kashambuzi's propaganda is to prevent cooperation that can bring about a solution to our problem. Fortunately for us, however, it is no longer easy for them to deceive us with their games, hence the desperation that Mr Kashambuzi is exhibiting. I stand against propaganda, I stand against the justification of the suffering and genocide of Baganda in Uganda. I stand against Mr Kashambuzi's civic miseducation. You may have blocked me from challenging your vile lies about Buganda and Baganda on your wall, Mr Kashambuzi, but I shall continue to respond to you for the simple fact that I understand the poisonous nature of your material. 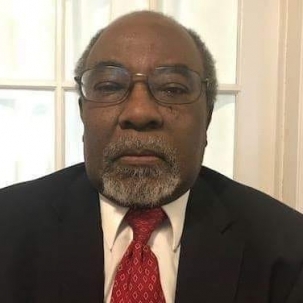 We will not accept to be made "Uganda's" problem/scapegoat by those like Mr Kashambuzi who are desperate to justify the inexcusable aggression towards us since 1966. Under no circumstances should Mr Kashambuzi be dismissed as merely an unconstructive mind with regard to matters of Uganda; from all indication he is a Museveni propagandist. One day, it is territorial expansion between two nations, another day, it is one taking advantage of the other. Leaving that aside, let us see if we can be a little constructive here. You say that your writing is geared towards advocating for 'a transitional government with a collective presidency [which] may help Ugandans to come together and draw up a new political development road map.' Seems reasonable enough, but like I have so often asked, how on earth can you achieve this with your divisive material, Mr Kashambuzi? The cause or root cause must be identified. We all know very well, yourself included Mr Kashambuzi, that the problem of "Uganda" is the forced union of nations by the British. A union put together for their benefit and not the people of "Uganda". I have talked about this several times here. I have taken the position that unless we go back and examine the British colonizers's purpose for pushing people of different nationalities, languages, cultures and histories into an undesired union, people who were in the first place happy to run their own affairs in their own individual nations, we will continue to go round in circles. We will never solve this thing called " tribalism" which our colonizers taught us to call each other any time we fail to agree or express love for our identity in "Uganda"- something that has hindered any chance of forming meaningful relationships to run a country. Now, we have a foreign force killing and displacing the real owners of the place we know as Uganda. How long must we continue down a path to nowhere? What we need to focus on at this point is why "Uganda" was formed? From there, we can decide a way forward for ourselves that will benefit us. I am hopeful that reconciliation can even be achieved if we take this approach. It is urgent. Anything else is futile in my humble opinion. The UN mission in Somalia is tasked with supporting peace efforts and the strengthening of government institutions in the Horn of Africa nation, which were ruined by decades of civil war. Somalia's Ambassador Abukar Dahir Osman told the council that the United Nations should not interfere in his country's national affairs. UN Secretary-General Antonio Guterres on Friday agreed to appoint a new UN envoy to Somalia after its president refused to reverse a decision to expel a representative for raising human rights concerns. Guterres spoke by phone with President Mohamed Abdullahi Mohamed on Friday -- his second call to the Somali leader in three days -- to once again urge him to change his mind, according to diplomats. 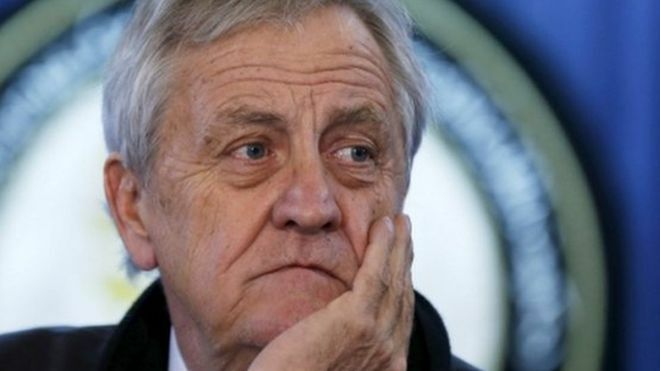 But the president dug in his heels and said UN envoy Nicholas Haysom would remain persona non grata and would not be allowed to return to Somalia. Guterres "deeply regrets" Somalia's decision, said UN spokesman Farhan Haq, adding that the UN chief nevertheless intends to appoint a new UN envoy. The UN Security Council met behind closed doors to agree on a response to Somalia's decision. But during that meeting, China asked for more time to consider a draft statement put forward by Britain that expressed regret at the decision, diplomats said. The council was to reconsider its response on Saturday. In the British-drafted text, the council would express its support for the UN mission in Somalia and say it expects Somalia to fully cooperate with the United Nations. Haysom, a South African lawyer and experienced diplomat, was told to leave Somalia on Tuesday after he questioned the government's decision to arrest an Al-Shabaab defector who was running in elections. Muktar Robow, who defected from Al-Shabaab in 2017, was arrested last month and flown to the capital Mogadishu after announcing his bid for the state presidency in South West State. The arrest sparked protests in the southwestern town of Baidoa on December 13-15 that were violently suppressed by Somalia's security forces, leaving at least 15 dead. In a letter sent to the government, Haysom requested an investigation of the protest violence and information on the legal basis for arresting Robow. Haysom, who took up the post of UN envoy in October, warned the council during a meeting on Thursday of a risk of conflict during elections in Somalia's federal states due to tensions with the central authorities. The arrest of Robow could discourage other Al-Shabaab militants "who may be considering exchanging violence for a political path," said Haysom. Former Al-Shabaab militants "cannot assume leadership positions without going through stringent established rehabilitation programs," he said, adding that a terrorist should not be allowed to rebrand himself as an "ice cream salesperson." Government through the East African Affairs ministry has written to the parliament of Kenya demanding that its legislators apologise for allegedly abusing Uganda President Yoweri Museveni. Last week, some Kenyan MPs threatened to stage demonstrations in Kampala if the Kyadondo East MP Robert Kyagulanyi aka Bobi Wine was not released within a week’s period. Kyagulanyi was arrested alongside over 33 others on allegations that they had stoned Museveni's convoy. The suspects have since been charged with treason and granted bail. 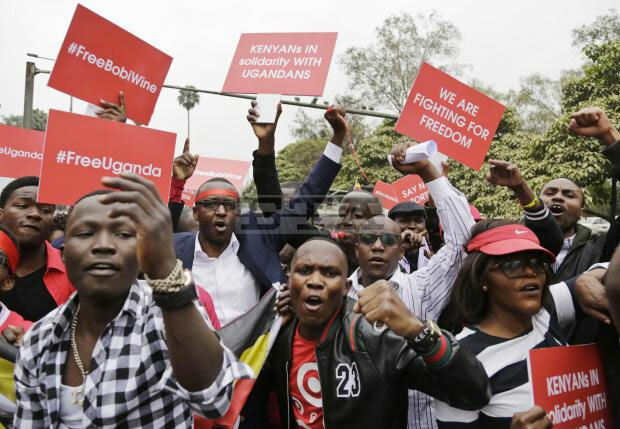 With allegations of torture of the suspects particularly Kyagulanyi and Mityana MP Francis Zaake, daily demonstrations erupted in Uganda and abroad - with Kenyan youth being very vocal over the issue, arguing that injustice anywhere is a threat to justice everywhere. Kyagulanyi was initially charged with illegal possession of firearms and ammunition in an Army court in Gulu and remanded to Makindye military barracks in Kampala. 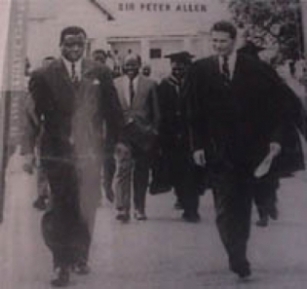 The charges against the MP were later dropped but he was subsequently charged in the Magistrate's court with treason. According to Daily Nation, Kenyan lawmakers including Jared Okelo (Nyando), Babu Owino (Embakasi East) and Gideon Keter (nominated) of the Kenya Young Parliamentarians Association said they would first stage a protest against the arrest and torture of Kyagulanu at the Ugandan embassy in Kenya before escalating it into Uganda. Now, ruling party lawmakers in Uganda are demanding that action be taken against the Kenyan MPs for what they called meddling into the affairs of a sovereign state. East African Affairs state minister Julius Maganda Wandera told the parliamentary committee on East African Community Affairs yesterday that 'action' had already been taken against the Kenyan MPs. Unsatisfied by the minister’s verbal ‘action taken’ statement, Rukiga Woman MP Caroline Kamusiime Muhwezi insisted on knowing what action had been taken against the MPs, whom she said used abusive language to the person of the President of Uganda, which to her was unacceptable. “After the recent protests, the Kenyans including MPs came out and abused our president but nothing was done by the ministry. They were demanding our president to free Bobi Wine. Free Bobi Wine, as who?” Kamusiime said. Daily Nation reported that while addressing the press on August 15 at Parliament Building in Nairobi, the lawmakers said they would speak out against abuse of human rights being meted out on Kyagulanyi and others following their arbitrary arrest in Arua. Maganda said his ministry had through the Uganda parliament speaker Rebecca Kadaga, written to Kenyan parliament over that matter. “We as the ministry have already taken note of the comment which doesn’t sound so well at bi-lateral level where it is supposed to be encouraging Ugandans, Kenyans and East Africans… where we allow each partner state to keep its sovereignty and governance as much as we operate under a treaty for the establishment of the EA community,” Maganda said. “We have written through the speaker of parliament to address her fellow speaker of Kenya so that they can make these MPs of Kenya to understand the rules of procedure and the diplomatic relationships and the messages that should be done especially when they are meant to address issues that pertain to the [other] state,” Maganda added. He threatened that if the Kenyan parliament does not take action against the legislators, the ministry would not hesitate reaching Kenyan President Uhuru Kenyatta for redress. “And we want a comment to come out officially either to retract that statement of the MPs or to apologise or else we might seek through our embassy to have these matters placed before the president of Kenya. We are not taking this matter lightly as a country and as a ministry. We are taking it as a serious matter,” Maganda said. Maganda however said the action demanded by the ministry would not negatively affect the two countries’ relationship but there was need for Kenyan MPs to understand diplomacy. “We want the MPs of Kenya to understand and appreciate that there is a diplomatic way how they should address matters that pertains to a partner state where you don’t have a bigger jurisdiction in their decision making,” Maganda said. Prior to Arua suspects' release on Monday this week, religious leaders, Buganda kingdom, musicians, opposition leaders and foreign missions had issued strong statements against the torture of the suspects and general brutality of the presidential guards. There goes the Christian Archbishop with his determination against African dictators. The US government in a statement reminded government that all the detained people have a right to humane treatment, due process, access to lawyers and to their families and a prompt and fair trial. “We urge the government to show the world that Uganda respects its Constitution and the human rights of all its citizens,” the US statement said. The European Union also weighed in condemning the violence that occurred before and after the by-election. The European Union urged that the government, political parties and civil society should cooperate to ensure that the events that have caused much suffering to citizens and damaged the global image of Uganda are addressed swiftly and transparently. What sort of governance exactly is Uganda and its friendly African countries exporting to Somalia and South Sudan? It seems that this minister of state for Uganda has brought out the cat from the bag. Uganda, Burundi and Ruanda together with Kenya have been working hard in Somalia to bring some sort of tolerance and harmony to the two fighting political forces that have messed up their country like in Syria. They are trying it in South Sudan. What if the present Somali government comes out and questions exactly what the troops of Uganda are doing standing well in their sovereign country for now over 10 years? It is wrong for someone to blame others for ones sins. The old Uganda political party the UPC taught M7 every thing that needs to be done to keep the Republic of Uganda as Obote declared it 1966. Mengo and the State of Buganda have all kept silent about it for 50 years now so that those who want Uganda to stay as a Republic can enjoy their dream. Today Mengo has said it clearly that it has been a victim of all the violence that the African Republicans have proudly instigated on the Ancient African Kingdoms and their peoples for now 50 years and they are still counting. 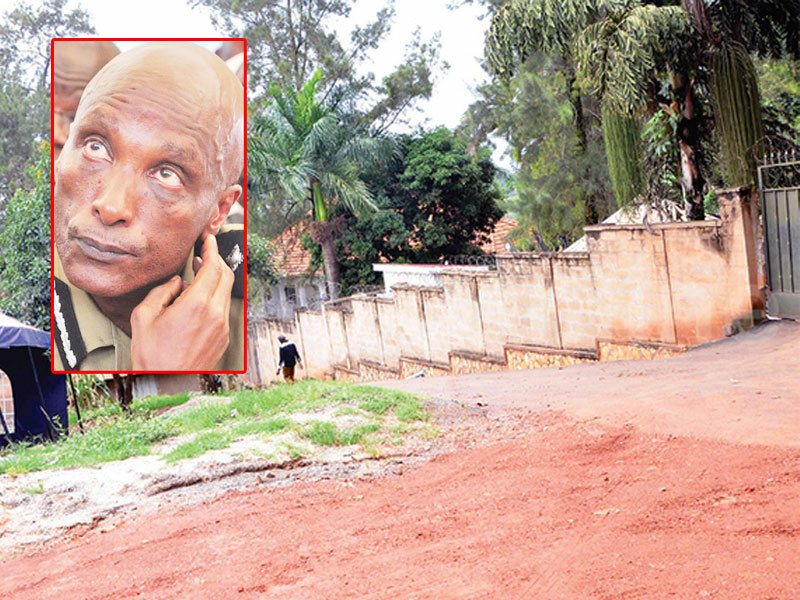 The residence of fallen Inspector General of Police Kale Kayihura in Muyenga has been sealed off by heavily-armed military forces and Counter Terrorism personnel just after he was airlifted from his country home in Kasagama in Lyantonde to Mbuya. Over 20 security operatives are searching Kayihura’s home both inside and outside. Defence spokesperson Richard Karemire was seen at Muyenga and when asked by our reporter Hadadi Mubiru asked him why the army had sealed off the place, he jokingly told journalists that they have just come to pay a visit and are doing their job just like the journalists are doing. While his house is being searched, Kayihura is allegedly currently being quizzed by his boss the Chief of Defence Forces Gen David Muhoozi at the General Headquarters- Mbuya. Omusango gwa Ssemateeka No. 22 ogwa 2006. Okusalawo kwo Musango okw’Omulamuzi Kitumba. Omusango guno guleteddwa wansi we bitundu bya Ssemateeka 137 (3) ne 50(1) ne (2). Ate era omusango guno guleteddwa wansi wa mateeka amalala agakwata ku buyinza ne ddembe lyo buntu aganama ddala nga bwegasaanye okukwatibwa ate era nokukwasibwa mu Bantu. Omusango guno gwatekebwa mu file ya Court eno nga 11/05/2005 ate negukyusibwamu nga 02/07/2007. Abaloopa bano Paul Kafeero ne Herman Kazibwe batuuze be nsi Uganda era bemulugunya nga wansi omusango guno bwegugamba. a) Abawabi bano bemulugunya nti tebayisiddwa bulungi era banyigiriziddwa olwensonga ezitakwatagana bulungi nakatono okusinziira mu Ssemateeka w’ensi ya Uganda eya Republic . b) Abawabi bano bemulugunya nti No 1 aloopebwa yagaana okuwandiisa ekibiina kyabwe ekirina amanya “Kabaka Yekka” nti kubanga erinya limenya etteeka 5 (1) ate neddala 16 (1) agali mu tteeka ekkulu erifuga ebibiina byobufuzi eryayisibwa 2005. Era erinya lino liyinza okuleeta okutabulatabula Nobwakabaka bwa Buganda . c) Abawabi bano era bemulugunya nti okusalawo obutawandiisa kibiina kyabwe “Kabaka Yekka” kikontana nekitundu kya Ssemateeka ekya 72 (1) ekiwa obuyinza bwonna obujjuvu obwabawabi bano ate era nabantu bonna abatuuze ba Uganda okukola ebibiina byobufuzi bo byebaba beyagalidde. d) Abawabi bano era bemulugunya nti okusalawo obutawandiisa kibiina kyabwe “Kabaka Yekka” kikontana nekitundu kya Ssemateeka wa ensi Uganda eya Republic ekya 29 (1) (e) ekiwa eddembe abantu ba Uganda okukwatagana nokukolagana nga bo bwebaba bagadde. 2: Abawabi bano era bongera ekwemulugunya nga bwebanyigirizibwa mubukyamu olwengeri omuwaabi ono gyagenda nga yeyongera okugaana nga bwassamu nokukozesa ensonga zino ezebitundu 5 (1) (a) ne(2) mu tteeka erifuga ebibiina eryayisibwa 2005. Kino kyongera kumenya amateeka agali mu bitundu 72 (1) ne 29 (1) (e) ebya Ssemateeka wensi ya Uganda eya Republic . 3: Aloopebwa asooka mukwetegereza enyo nokukwasisa empisa abaloopa bano ebitundu 5 (1) (a) ne (2) mu tteeka lino erifuga ebibiina eryayisibwa 2005 lilemesa nokuteeka obukwakkulizo ku ddembe lyabawabira bano nebalemererwa okwetayaya obulungi. Era okugaanibwa kuno kubanyigiriza ekisukiridde nekiyitawo nyo ddala mubantu bonna abalina eddembe lyabwe eryanama ddala lyebamanyidde mu Democracy nga Ssemateeka bwakikakasa nokukilambika obulungi mukitundu ekya 43 (2). 4: Abawabi bano babonyebonye nyo nokufuna obuzibu era nokufiirwa ebyabwe bingi olwokulemererwa kwaloopepwa asooka okugaana okuwandiisa ekibiina kya “Kabaka Yekka”. 5: Abawabi bano bagamba nti olwensonga ezo waggulu ezogeddwako mubitundu 1, 2, ne 3, ebikolwa by’awabirwa asooka nga bwabikozesa kukibiina kya “Kabaka Yekka” amenya mateeka ga Sssemateeka era asanidde okubikomya mbagirawo. a) Court essalewo nti ekibiina kya “Kabaka Yekka” kyatukiriza ebisanyizo byonna ebisabibwa mumatteeka okuwandiisa ebibiina byobufuzi. b) Court essalewo nti okugaana oba okulemererwa kwalopebwa asooka okuwandiisa ekibiina kya “Kabaka Yekka” kikontana nebitundu 72 (1) ne 29 (1) (e) ebya Ssemateeka. c) Court essalewo okuwa ekiragiro alopebwa asooka okuwandiisa ekibiina kyobufuzi ekya “Kabaka Yekka”. d) Court essalewo okuwa ekiragiro okubalirira okufiirizibwa kwabaloopa bano okuvudde mukugaana oba okulemererwa kwalopebwa asooka okuwandiisa ekibiina kyobufuzi ekya “Kabaka Yekka”. e) Court essalewo okuwa ekiragiro abawabirwa bano okusasula sente zomusango guno. Okuwabira kuno kukkakkassibwa mukulayira kwobubaka bwa Paul Kafero omuwaabi asooka. (i) Omuwaabirwa asooka yali mumateeka amatufu okugaana okuwandiisa ekibiina kyobufuzi ekya Kabaka Yekka kubanga okukiwandiika kiba kumenkya mateeka 5 (1) ne (a) (b) ate ne 16 (1) agali mu tteeka erifuga ebibiina byobufuzi elyayisibwa mu mwaka 2005 (PPO Act). Era sikukoma awo woka naye nokutabulatabula Obwakabaka bwa Buganda . (ii) Mukuddamu kwokuwoza kwa No 1. (b) Omuwaabirwa ono era yegaana nga bwatamenya mateeka gomu kitundu 72 (1) mu Ssemateeka okulemesa Abawaabira bano nabantu abalala abatuuze ba Uganda , okwekolera ekibiina bo kyebeyagalira nga era kyebelondedde. (iii) Mukuddamu kwokuwoza kwa No 1 (c) Omuwaabirwa ayongera okwegaana nga bwatamenya mateeka gomu kitundu 29 (1) mu Ssemateeka okulemesa Abawaabi bano okwegazaanya muddembe lyabwe elyokukolagana nga abantu abakulu abateegera kyebandyagadde okukola mu ddembe lyabwe. (iv) Mukuddamu kwokuwoza kwa No 2 Omuwaabirwa ayongera okwegaana nga bwatamenya mateeka bwagenda mumaaso nokukozesa obuyinza bwe obuli mu kitundu kye tteeka lya PPO Act okulemesa Abawaabi bano okuwandiisa ekibiina kya Kabaka Yekka nga Ssemateeka bwabawa eddembe eryo, mu kitundu 72 (1) ne 29 (1). (v) Omuwaabirwa ono ayongera okukakasa nga obuyinza obuli mu kuziyiza okuwandiisa ekibiina kino obuli mu tteeka lya PPO Act mu kitundu 5 (1) (a) ne 2 butuufu era busanidde mubuntu bulamu obulimu democracy nga era bukwatagana bulungi nekitundu kya 43 (2)(c) ekya Ssematteeka wa Uganda. (vi) Omuwaabirwa asooka ayongera okukakasa nga okusalawo kwonna kukibiina kya Kabaka Yekka bwekuli munsonga entuufu zonna eziri mu tteeka lya PPO Act ate nga etteeka lino lissimbukira ddala mu Ssematteeka wa Uganda . Nolwekyo okusalawo kuli mu Ssematteeka yenyini. (vii) Abawaabirwa bano basaba Abawaaba balemesebwe okulongosa mumusango guno naddala nga bwebalemeddwa okugoberera obukodyo obukozesebwa mu kutakiriza emisango gy’ etteeka lya PPO Act bwewabaawo okugaana okuwandiisa ekibiina kyobufuzi. (viii) Abawaabirwa bano basaba nti omusango guno munafu nyo era tegwetaaga bunyonyozi bwa Ssematteeka. Okuddibwaamu kwomusango guno kuliko obukakafu bwa bajjulirwa babiri. Mr Eng. Badru Kiggundu, akulira akakiiko kokulonda akawawabirwa ne Bafirawala Elisha munamateeka wa Governmenti. Ebyafaayo kumusango guno gulina Abawaabira babiri abasaba Awandiisa ebibiina byobufuzi nebibiina ebirala awandiise ekibiina kyabwe. Omuwandiisa ono nalemerako nga abagamba bakyuuse erinya. Oluvanyuma obuvunanyizibwa bwokuwandiisa ekibiina kino nebutekebwa mumikono gy’Akulira akakiiko kebyokulonda. Omukulu ono naye nagaana okuwandiisa ekibiina kya Kabaka Yekka nga amaze okwebuuza ku Attorney General w’Obwakabaka bwa Buganda . Mu bbaluwa ye eya 28 September 2005 Minister webyamatteeka mu governmenti ya Ssabasajja Kabaka nagamba nti singa ekibiina kiwandiikibwa mu linya lya Kabaka Yekka ekibiina ekyo kijja kumenya amateeka. We have received an application to register the above name as a political party and we would like your guidance on the use of this name in respect of political party. I draw your attention to this fact bearing in mind the provisions of sections 5(1) (a) and 16(1) of the Political Parties and Organisations Act 18/2002. We are due to gazette the application and wanted the opinion of the kingdom on this matter. Assistant Registrar of Political Parties/Organisations. We agree with your interpretation of the law in the above matter, and agree that a party under that name cannot be registered without infringing the law. The following year all responsibilities and powers were passed over to The Electoral Commission after the introduction of a multiparty system of democracy. Where the National Movement system of governance metamorphosed into a new single political party and was hurriedly registered under this current electoral commission as one of the current political parties of Uganda . Over 30 political parties were registered apart from Kabaka Yekka. This is the reason given by the letter of the Electoral Commissioner. Please refer to the above outlined subject. According to available records you were advised by the Assistant Registrar of Parties, to change name because Kabaka Yekka was likely to be confused with the Kingdom of Uganda in contravention of the Provisions of Sections 5(1)(a) and 16(1) of the Political Parties and Organizations Act 2005. This is therefore to reiterate the advice earlier given to you regarding this matter. Mukirizibwa okukyusiza bonna abagala okuyiga ensonga zino mu nnimi zonna ezisoboka mu Africa . Ebiseera bino byetulimu byakanayokyani- Byakulowooza nnyo- Byakufumitiriza nnyo. Byakukola nnyo era byakwaabuluza ekyo ekyazimbibwa edda. Bannange mmwe Abaganda bannannyini Ggwanga mpalirizibbwa okuleeta Engero zino ensonge ennyimpi nga nzitadde mu bitundutundu buli muntu ku ffe yerondere kitundu ki kyalimu? Era kiki kyateekwa okukola okuvamu okufumiitiriza amakulu gengero ezo. Ekijja omanyi- kinyaga bitono – Ekiddukano tekinyaga byenda. Okwerinda si buti – Ensanafu etambula eteze. Kalina abiri – Olonda ejjinja nga kalaba. Omuggo oguli ewa munno- tegugoba Ngo mu njuyo. Gwomanyi enfumita – tomulinda magalula. EKIRYA ATABAALA – KYEKIRYA N’ASIGADDE EKA. Mukusisinkana okuteesa okwaddirira kyasalwawo okuggumiza onsonga enkulu ezomusango bweziti. 1. Okulemererwa kw’Omuwaabirwa asooka oba okugaana okuwandiisa ekibiina kyobufuzi ekya Kabaka Yekka kiba kwekuba mpawu ezitajja kuggwa oba kumenya mateeka mu bitundu 72(1) ne 29(1) (e) mu Ssematteeka wa Uganda era ekikolwa kino kiveewo nga tekirina muganyulo gwonna. 2. Okwongera okutayiza nokugaana Abawaabi bano okugenda mumaaso nokuwandiisa ekibiina kyabwe Omuwaabirwa ono ayongera kulinyirira ddembe lyabwe nokulabika nga ayitawo ne kwekyo ekya ndyetaagisiza mu bantu abakulu abategeera abatudde emirembe ne ddembe mu nsi ya Democracy ne mubatuuze bannabwe. 3. Waliwo okusalawo obanga Abawaabira bano basanidde okuwulirizibwa nokuddirwamu mumusango gwabwe guno. Mukugenda mumaaso nokuwuliriza omusango guno Abawabira bakulemberwa Munnamatteeka Ms Eve Luswata Kawuma ate Abawaabirwa bo ne bawolerezebwa Ms Margaret Nabakooza. Mukuwulizinganya omusango banamatteeka bano okuva kubyebaali bateseza bayongerako no kwogera mu kkooti. Nze nga Omulamuzi kambitwale mumaddinganwa gaabyo. Okugaana kw’Omuwaabirwa asooka okuwandiisa ekibiina kya Kabaka Yekka kuwubisa, na kumenya mateeka gebitundu 72 (1) ne 29 (1) (e) mu Ssematteeka era ekikolwa ekyo kikomekkerezebwe kivewo. Ms Luswata-Kawuma kulwabawaabira yayongera okukigumiza nti Omuwaabirwa asooka okugaana okuwandiisa ekibiina kya Kabaka Yekka kikontana ne kitundu 72 (1) ekya Ssematteeka. Ekitundu kino kiwa obuyinza obutajjulira omutuuze we nsi ya Uganda okuwandiisa ekibiina ye kyaba ayagadde. Era mukugaana kuno okuwanndiisa ekibiina kino Omuwaabirwa ono amenya etteeka mu kitundu kya Ssematteeka ekya 29 (1) (e) ekiwa eddembe abantu okukolagana nga bo bwebaba basobodde mubibiina. Munnamatteeka ono nategeeza kooti nga byonna ebyetagisa okukolebwa bwebyakolebwa, nga ekibiina kyobufuzi tekinaba kuwandiisibwa ebilambikiddwa mu tteeka erifuga ebibiina byobufuzi (PPOAct). Omuwaabirwa asooka yagaana okuwandiisa ekibiina. Ensonga zaawa azilaga mu bbaluwa jeyawandiika nga abulira Abawabi bano nti erinya “Kabaka Yekka” lyali lijja kutabulatabula n’ Obwakabaka bwa Buganda mu kumenya amateeka agali mu katundu 5(1) (a) ate ne mu katundu 16 (1) mu tteeka lya PPO Act. Okusinziira ku munnammatteeka ono, Omuwaabirwa ono teyalaga engeri obutundu bunno jebwamenyaamu etteeka lino. Akayana nagamba nti abakulira ekibiina kino era nabo ba members abakirimu tebali mu lukalala lwabantu abogerwako nga abaganibwa mu katundu aka 16 (1) mu tteeka lino. Agatako nti obwa member bwe kibiina kino tebuli mu muttemwa ogugaanibwa mu katundu kano 5 (1) (a) mu tteeka lya PPO Act. Okusinziira ku bujjulirwa obwo Muwaabira asooka obwa member bwe kibiina bulaga enfanana ennungamu nga eva mu Districts 19 ezilungamya ebitundu byamawanga ebitaano ebiri munsi ya Uganda . Tewali nakamu ekiraga nti waliwo okwawula oba okukubira oludda kuludda lwa Bakyala bokka oba oludda lwa Baami oba okusosola mu mawanga. Kino kikakasa nga ekibiina bwekirina byonna ebyetaagibwa mukuzimba eggwanga mubujjuvu. Yasaba kkooti erowooze nyo kumuganyulo gwobutundu buno 5 (1) ate ne 16 (1) mutteeka lya PPO Act nomulimu gwabwo nga esinziira mu makulu ga Ssematteeka wa Uganda . Okuggumizza kukino yaleetayo okyokulabirako ekyomusango gwa Attorney General lweyawoza omusango ne Salvatori Abuki nga ajjulira mu Ssematteeka ku number 1. mu mwaka 1998. Munnamatteeka ono akiggumiza nti omuganyulo oguva mu Ssematteeka kwe ku kulakulanya eggwanga erya Democracy, eryesigamiziddwa mu kwegatta, mubwenkanya bwabantu nokugenda mumaaso kwabwe nga bemalirira mubuyinza bwabwe obwabantu abakulu aberowoolereza. Munnamatteeka anyonyola nti mukutuula kwo Muwabirwa asooka ye nasalawo okugaana okuwandiisa ekibiina nga akozesa obutundu 5 (1) (a) ate ne 16 (1) obwetteeka lya PPO Act amenya matteeka ga Ssematteeka agakuuma obuvunanyizibwa nobuyinza bwabantu obulembekeddwa mu bitundu 72 (1) ne 29 (1) (e) mu Ssematteeka wa Uganda . Munnamatteeka ono asaba kkooti ekirizze okuwaabira kuno. Munnamatteeka awolereza eggwanga lya Uganda okuwabirwa kuno takukiriza. Aggummizza bulungi nti okusalawo kwa chairman wakakiiko akakola kubyokulonda era nga ye muwalaabirwa asooka yasalawo mubutuufu obutawandiisa kibiina kirina linya lino erya Kabaka Yekka. Ensonga gyeyawa nga agamba nti abantu babulijjo abakulu nga ate bateegera bulungi bajja kutabulatabula erinya lino Nobwakabaka bwa Buganda .Era bwekityo mungeri eyo ekikolwa kino kijja kumenya obutundu 5 (1) (a) (b) ate ne 16 (1) obuli mu tteeka lya PPO Act. Era okusalawo kuno tekulina bwekumenya matteeka nakugaddibaganya mu bitundu bya Ssematteeka 72(1) ne 29 (1) (e). Munnammatteeka ono ayongerako nagamba nti enjogera ettegerekeka mubujjuvu bwokuvunnula Ssematteeka, Ssematteeka yenyini alina okutwalibwa wamu nga omuganda ogumu. Nagamba nti newankubadde waliwo okuweebwa obuyinza obujjuvu okukola ebibiina byobufuzi mukitundu kino 72(1) ekya Ssematteeka naye ate obutundu (2) ne (3) nabwo bukwtagana nekitundu kino. Ye Munnammatteeka ono mukulowoozakwe agamba nti Ekitundu 72 kiteekeddwa okusomebwa awamu. Ayongerako nti ekitundu 72 (2) ne (3) mu Ssematteeka bitteekwa okukolaganira awamu. Olunyiriri (2) lugamba nti tewali kibiina kijja kuddukanyizibwa okujjako nga kitukiriza ebyo Ssematteeka byakiririzaamu. Ebikiririzibwaamu biri okwegata, emirembe, okwenkanankana, democracy, neddembe. Ate ku lunyiriri (3) Parliament yattekebwawo okukola etteeka lyokulabirira enkola yebibiina byobufuzi. Olwensonga eyo Parliament nettekawo PPO Act nga etteeka. Agamba nti ekitundu 5(1) (a) ate ne (b) biteekwa okusomebwa awamu. Munnamatteeka ono ayongera nagamba nti okusinziira kukitundu 72(2) ekya Ssematteeka. Bwowandiisa ekibiina mu linya lya Kabaka Yekka oba oyonoona ensonga enkulu ddala eri mu kweggatta kubanga erinya ng’ eryo lireeta okusosola mumawanga kubanga Kabaka linya lya mufuzi we nnono omukulembeze mu bwa Kabaka bwa Buganda . Abantu abalowooza obulungi bajja kukitwaala nti akulira ennono ate wuno yeyingizza mu bibiina byobufuzi ekitakwatagana na kitundu 246(3) (e) ekya Ssematteeka ate era nekitundu 16 ekye tteeka lya PPOAct. Obwakabaka bwa Buganda nabwo bwagaana okuwandiisa ekibiina kyabawaabira bano nga “Kabaka Yekka.” Abawaaba bano bagana okukyusa erinya newankubadde nga baweebwa nyo amagezi bakyuse erinya. Nolwekyo Awawabirwa asooka okugaana okuwandiisa ekibiina kyobufuzi ekya Kabaka Yekka talina kyamenya matteeka mu kitundu 72(1) ate era ne mukitundu 29(1) (e) ebiri mu Ssematteeka. Munamatteeka wa governmenti wano nasaba kkooti okugaana omusango guno. Etteeka kulu ddala Ssematteeka bwaba nga azimbibwa nti tewasanye kwawulibwamu bitundu nebilowoozebwako byokka okuva kubinabyo naye kisanidde byonna ebibeera nga byogera kunsonga emu bileetebwe wamu mukulowoozebwako nokutunulibwaamu okusobola okulaga obulungi ekigendererwa ekyomumugaso mu kitundu kya Ssematteeka ono. Tewali alina buyinza obwo okujjako kkooti ya Ssematteeka eweereddwa obuvunanyizibwa bwokutuukiriza obwenkanya buno. Mukulowooza okwange ebitundu bya Ssematteeka bisanye okutwalibwa mpola nga tebitawanyizibwa munsonga ezamanyi enyo. Newankubadde nga lwo olulimi lwa Ssemateeka telukyuuka naye ate embeera zabantu zikyuuka neziwa amakulu amalala ebitundu bino.Ekitundu kya Ssematteeka ekikuuma eddembe lyobuntu eryomuwendo omunene ekitundu kino kibererawo emirembe gyonna. Kkooti kyeva esaana okubeera enegenderevu mukulaba nga ekwataganya ensonga eziwerako mukulungamya omugaso gwa mateeka gano eri abantu bonna nebyo byebaba bagala okutukiriza. Mubigambo ebirala Kkooti essaanide okugaziya so si kufunza ebitundu bya Ssematteeka bino. Ebitundu bino bisaanidde okukozesebwa mubugazi bwabyo okutukiriza eddembe lyobuntu kwabo abateekwa okufuna eddembe lino. Omuwaabira yenna bwalaga obukakafu mukuyikirizibwa mutteeka nga lino eryeddembe atteekwa okuweebwa obuyinza bwe amangu ago. Naye ate kkooti eyinza okugaana okumuwa obuyinza bwe singa ekizzuula nti mukifo kyokutwaala mumaaso eddembe lino nokulikozesa obulungi ate kijjawo ddembe nabutali bwenkanya. Oba kkooti bwekiraba nga tekiri nakamu mubwenkanya olwokubanga waliwo ebikolwa ebiguddewo nebikyuusamu kumbeera. Nze mukulowooza okwange mba siraba njawulo nnenne nyo wakati wobukulu bwe tteeka lyeddembe lino ate era netteeka eryabulijjo. Mukwemulugunya kwabawaabira bano munsonga esooka bagamba nti ekikolwa ky’Awawabirwa asooka ekikolwa kyakola kiba kimenya ekitundu 72(1) ate era ne kitundu 29(1) (d) ebiri mu Ssematteeka. Buli muntu yenna alina eddembe; okwetaba munkolagana yonna era nokwetaba mukukola oba okwenyijira mubiina byonna oba bya Union mubusuubuzi nemukupakasa oba ebyobufuzi oba okkukkulakulanya eggwanga. (2) Ekibiina kyonna tekijja kuddukkanyizibwa nga ekibiina kyobufuzi oba ekirala kyonna okujjako nga kimaze okutukiriza ebikulu ebilembekeddwa mu Ssemmatteeka era nga kiwandiisiddwa. (3) Olukiiko lweggwanga mumatteeka lujjanga kulabiriranga enfuna ya sente awamu nemirimu gye bibiina bino ebyobufuzi. Abawaabira bano kyebasinga okwemulugunyamu kwekukwasisa amateeka okuli mu kitundu 5(1) ate ne mukitundu no. (2) ne no. !6(1) ebiri mu tteeka erifuga ebibiina- PPOAct. Ensonga zino ziremesa okusaba kwabwe okuwandiisa ekibiina kya Kabaka Yekka. Obuyinza bwa Bawaabira bano okukola ekibiina kyobufuzi buteekwa okulabibwaamu nebitundu ebiri mu tteeka lino PPOAct.ate era ne bitundu ebiri mu Ssematteeka. Ssemmatteeka wa 1995 yesigamiziddwa ku nsonga enkulu enyo ezokwegatta, emirembe, nobwenkanya, democracy, eddembe nobuntu bulamu obusaanidde mubantu nga bukulakulanya nensi. b) Ababaka abakozesa ebigambo, enjogera, oba obubonero obuyinza okuleetawo enjawukana zonna ezinyonyoddwako waggulu mu katundu ka (a). c) Ekitundu 16(1) ekye tteeka lya PPOAct omufuzi we nnono oba ow’okubuttaka takirizibwa kwenyigira mu bibiina byabufuzi byonna. Akulira akakiiko ko kulonda nga omuwaawaabirwa asooka kyava yesigama kubitundu 5(1) (a) ate ne 16 (1) ebiri mu tteeka lya PPOAct nagaana okuwandiisa ekibiina kya Kabaka Yekka ekya bawaabira bano. Ensonga ye enkulu emuganyisa agamba nti kijja kuleetawo okutabulatabula mu Bwakabaka bwa Buganda awamu nokumenya amatteeka agali mu tteeka lya PPOAct. Nze nga Omulamuzi simatiddwa nsonga za munammatteeka wabawaabira bano nti nga bwebamaze okukola buli kyetaagisa okusobola okuwandiisa ebibiina by’obufuzi mu Uganda nga bwekirambikiddwa mu kitundu no.7 mu tteeka lya PPOAct., omukulu wakakiiko kokulonda asaanidde okuwandiisa ekibiina nga tafuddeyo ku linya lyaakibiina ekyo. Nze kubwange nina endowooza eyange nti newankubadde nga ekibiina kino kirina ababaka baakyo mu districts 19 eza Uganda, era nga balina enjawulo mu langi, gyebava mubuzaaliranwa, ne ddiini, era nga mulimu abasajja na bakazi naye ate erinya kintu kikulu nyo. Omukulu wa kakiikiko akadukanya okulonda nga yaloopebwa yalina okusalawo okuwandiisa oba obutawadiisa kibiina kino mulinya lya Kabaka Yekka. Naddala nga waliwo ensonga entuufu olwekikolwa kye ekyo. According to available records you were advised by the Assistant Registrar of Parties to change name because Kabaka Yekka was likely to be confused with the Kingdom of Buganda in contravention of the Provisions of Sections 5(1)(a) and 16(1) of the Political Parties and Organisations Act 2005. This is therefore to reiterate the advice given to you regarding this matter. ABALOOPA BANO BAWEEBWA AMAGEZI OKUKYUUSA ERINYA NAYE NEBAKOZESA AKAJANJA NEBAGANA ERA KWEKUSALAWO OKULEETA OKUWABA KUNO MU KKOOTI ENO. KIMANYIDDWA BULUNGI KKOOTI YA SSEMMATTEEKA KYELINA OKUTANGAAZA OBULUNGI MUMATEEKA NTI OMUTTAKKA OMUKKULU NGA ERA MUKULEMBEZE WA NNONO MUBWAKABAKA BWA BUGANDA AYITIBWA KABAKA. EKITUNDU 5(1)(B) EKYOMUTTEEKA LYA PPOACT EKITUNDU KINO KIGAANA OKUKOZESA EBIGAMBO EBIYINZA OKULEETAWO ENJAWUKANA OKUSINZIIRA MUMUKO OGWA (A). OMUKO GUNO 1(A) TEGUKIRIZA BANTU KUTABAGANA OKUSINZIIRA NEGYEBASIBUKA MUBUZALIRANWA BWABWE NEGGWANGA. NGA KABAKA WA BUGANDA BWALI OWE NNONO ATE NGA YE MUKKULU MUBUTTAKA BWA BUGANDA , OKUKOZESA ERINYA KABAKA KILEETA OBUTATEGERAGANA NOKWAWULAYAWULA MU BANTU. Nzikiririza ddala mukusalawo kwamunammatteeka wo muwaabirwa asooka nti abantu babulijjo abalina endowooza entuufu batandiika okulowoolereza nti Kabaka wa Buganda yeyingiza mubibiina byobufuzi nga ate aganibwa mu kitundu kya 246(3)(e) ekya Ssemmatteeka wa Uganda . Ensonga eno eyinza okuleetawo enjawukana etetaagisa era nekileetawo okwekutulakutulamu okwabantu okutateekwa mu Ssemmatteeka wa Uganda alimu ensonga enkulu eyokwegata awamu. Olwensonga eyo waggulu ninna okulowooza kwange nti okugaana kwomuwaabirwa asooka okuwandiisa ekibiina kyobufuzi ekya Kabaka Yekka kituufu era ekikolwa kye ekyo tekimenya kitundu kya tteeka 72(1) ne 29(1)(e) mu Ssemmatteeka. Abaloopa bano tebaganibwangako mubuyinza bwabwe obwanamwa ddala okwetaba mu kutuula nokukola ekibiina kyobufuzi. Ensonga esooka eyabwe njiganye era njigobye. Okugaana kwa wawabirwa asooka ono nga akozesa ekitundu kya 5(1)(a) ate ne kitundu kya 16(1) ekye tteeka lya PPOAct 2005 nga anyigiriza abawaabira bano nebatetayiza bulungi mubuyinza bwabwe neddembe lyabwe eribaweebwa mubujjuvu oba mukipimo kya democracy wa Bantu abeddembe ng Ssemmatteeka bwalagira. Munnammatteeka wa bawaabira bano nga awoza yesigama kukitundu 43(2) (c) ekya Ssemmatteeka kunsonga eno eyokubiri. Obuyinza obuweebwa mukitundu kino ate nebukozesebwa okunyigiriza nokukotoggera abawaabi bano bussukawo mukulabirira eddembe lyobuntu mubantu abatudde obulungi munkolagana eya democracy. Munnamatteeka ayongera okuwoza nagamba nti obanga obuyinza bwe tteeka lino busanidde bwebutyo okunyigiriza abawaabi bano kkooti essanidde okusooka okulowooza kuddembe lino eriyimirizibbwa ate nobukulu bwe ddembe lino mubantu abatudde obulungi mu mbeera za democracy eyesigamye kuddembe lyobuntu nobwenkanya, ate era nekiseera nomugaso ebiri mu kuyimiriza eddembe lino. Okusinziira kumunnammatteeka ono obuyinza bwabawaabira bano bukotoggeddwa era ensonga eno nkulu nyo. Abawaabi bano tebali mu kibinja kyabo abaganibwa abali mu kitundu no.5 ekyetteeka lya PPOAct. Agumizza nagamba nti okukola ebibiina byobufuzi ate era nokwetaba mukukolagana nabantu bonna abalina endowooza emu kikkulu ddala mu nsi. Nasaba kkooti ekirize omusango gwabawaabira bano. Munnammatteeka wabawaabirwa ate ye nagaana. Agamba nti okukottogera nokugaana okuli mu kitundu 5(1)9a) ate ne 16(1) mu tteeka lya PPOAct kusaanidde era kukirizibwa mubantu abatudde awamu obulungi muddembe lya democracy. Nayongerako nagamba nti ebitundu bino byateekebwawo okutuukiriza obwetaavu obusibuka mukitundu 72(3) ekya Ssemmatteeka. Nagamba nti nga Ssemmatteeka mu kitundu 72(2) bwekiwa Olukiiko lweggwanga obuyinza okukyuusa munkola nokulunggamya mubibiina byobufuzi nebirala byonna tekiri eri kkooti mubuyinza bwayo okubuliriza buliriza mu tteeka eryamala edda okussibwawo. Nayongerako nti abawaabi bano tebanaba nakamu kuleeta bujjulirwa obukakasa nti kyebemulugunyamu kimenya Ssemmatteeka. Munnammatteeka ono era naleeta nekyokulabirako mukuwoza nga ajjuliza omusango wakati wa Attorney General nemunnamajye Major General David Tinyefuza ogwawozesebwa Omulamuzi Kanyeihamba. Omulamuzi ono kulupapula 11 yalamula bwati. Munnammatteeka ono kwekusaba Omulamuzi kunsonga eno eyokubiri ajigaane. “Okukkotoggera obuyinza bwomuntu obwekkomeredde ne ddembe lye elyobuntu. (1) Mukusanyukira mubuyinza buno ne ddembe ebiri mu kitundu kino tewali muntu yenna ate ateekwa okunyigiriza omuntu omulala yenna mumbeera ze naye zabeeramu wakati nga attudde mubantu bonna. (b) Okusibibwa nga tewali kuwozesebwa. Ekiwandiiko “okuyitiriza mukulalika mubutenkanya obwandisangibwa mu Bantu abatudde entende mu democracy” tekinyonyolwa nakamu mu Ssemmatteeka. Omulimu gwokunyonyola (Okutaputa) guli eri kkooti eno. Kkooti eno yakikola mu musango wakati wa Zachary Olum nomulala ate ne Attorney General mumusango gwa Ssemmatteeka no. 6 ogwatuula nga 1999. Enjogera: “abantu beddembe abatudde entende mu democracy” kyalowoozebwako mu kkooti eziwerako. Nga mu nsi ye Canada , Kkooti enkulu eri mukitundu kya The Queen Oakes  (Const) 477 awo 498 – 9 egamba bweti. Okuzziyiza oba okugaana okuli mukitundu 5(1)(a) ate ne 16(1) mu tteeka lya PPOAct, mukulowooza kwange, kulimu omugaso munnene nenzikiriza entuufu essannidde okubeera mubantu abeddembe abatudde entende mu democracy nga ne Ssemmatteeka wa Uganda bwa kakasa. Ebirungi ebikiririzibwaamu nga bwekyogerwa waggulu kwekwewayo mukuwa ekitiibwa obwenkanya nokusala amazima, ate era nokukiriza okussamu ekitiibwa enzikiriza zabantu abalala, obuzaaliranwa bwabwe, ate era ne nnono zabwe. 1. Okusinziira ku nsonga eziri mu Ssemmatteeka ono, ekitebe kya bakkulu ba battaka bano nga Bankansanggwawo nga era bebakkulu be nnono, basanidde okubeerawo mu bitundu byonna eby’ ebyensi ya Uganda okusinziira kumpisa zobuzaaliranwa ne nnono era awamu nokusiima kwabantu abo bekikwatako. 3 (e) Omuntu yenna nga ye mukkulu we bika ne nnono nobuzaaliranwa bweggwanga, takirizibwa kwetaba mu bufuzi bwebibiina. Mukulowooza okwange kiba kikyamu okukiriza omufuzi akulira ekitebe kyennono okubeerawo ate ekiseera kyekimu nawandisibwa kukibiina kyebyobufuzi “Kabaka Yekka.” Ekikolwa kino kiyinza okuleetawo okukyamukirira nokusalasala mumawanga gabantu gyebasibuka. Okwongerako kukino abawaabi bano singa bakirizibwa okuwandiisa ekibiina kyobufuzi mulinya lya “Kabaka Yekka”, bayinza okulinyirira obuyinza ne ddembe lyabantu ba Buganda abatudde entende mu Bwakabaka bwa Buganda so nga bo bagala kubeera mumirembe jjabwe egibasanyusa mu nnono yabwe nomukkulu wabbwe oyo. Nze nfumitiriza nyo ekirowoozo kyange nti okugaanibwa era nokuziyizibwa nga bwekinyonyolwa mubitundu ebiri waggulu kikolwa ekissannidde era ekyobwenkanya mu Bantu abatudde awamu entende mu ddembe lyabwe mu democracy. Okugaanibwa kuno kuli ne mu Ssematteeka wa Uganda . Nkitwala nti Abawaabira bano tebasanye kusasulwa sente zebafiriddwa mumusango guno oba nokuliyibwa kwona. Omusango ngugobye Nabawaabira basasule Abawaabi. Dated at Kampala this 30th day of April 2008. JUSTICE OF COURT OF APPEAL. NEWANKUBADDE NGA EBIBIINA BYOBUFUZI BYETAGISA MUKUTAMBUZA DEMOCRACY, NAYE ATE OMUGASO GWA DEMOCRACY TEGUSAANA KWELABIRWA. KYEKIVA KISSANNIDDE EBIBIINA BYOBUFUZI BINO OKUBEERA MUMATEEKA AGABIFUGA OKUSOBOLA OKULEETAWO OKWEGATTA KWENSI, OKUKUUMA OBULAMU BWABANTU, ATE ERA NOKUKUUMA OBUYINZA NEDDEMBE ERYABANTU ABALALA. KAKATI NO KYEKIVA KILABIKA NGA ERINYA LYA KABAKA YEKKA TERISANIDDE NAKAMU OLWEBITUNDU 72(2) ATE (3) EBIRI MU SSEMMATTEEKA ATE NE MU PPOACT ETTEEKA LINO ERIRABIRIRA EMPISA ZE BIBIINA. OKUWANDIISA EKIBIINA KINO KIKOLWA EKIYINZA NATE OKULEETAWO NATE OKUKYAMUKA KWEMYAKA GYA 1960. EMIVUYO GINO GYALEETAWO OKUTABULATABULA MUBANTU, OKUKYAMUKA, NOKUTINGANA BYONNA NGA BIVA KU KABAKA EYALI MU BWAKABAKA BWA BUGANDA NGA KABAKA ONO YEYALI ATESEEWO EBIBIINA BYOBUFUZI MUNSI. ERA EKITUNDU KYA 246(3)(E) EKYA SSEMMATTEEKA KYATTEKEBWA LWA NSONGA ZA MIVUYO OKUVA KU KABAKA ONO. NGA ABALAMUZI BANANGE S.G.ENGWAU, C.K BYAMUGISHA NE S.B.K KAVUMA BWEBAKIRIZIGANYIZAMU, OMUSANGO GUNO GUGOBWE NEBIRAGIRO EBIGUGENDERAKO NGA C.N.B. KITUMBA BWASAZZEEWO. WHAT CAN AFRICAN LEADERS DO WITH THE YOUNG GENERATION OF AFRICAN CHILDREN?